Home / National Events / Nagaland Observes 75th Anniversary of "Battle of Kohima"
Nagaland Observes 75th Anniversary of "Battle of Kohima"
Nagaland observed the 75th Anniversary of the Battle of Kohima. The event was attended by the representatives from the UK and Japan who spoke on the theme of 'Remembrance, Reconciliation and Rebirth'. 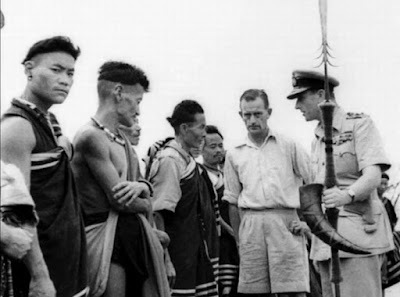 Battle of Kohima is considered as the turning point of the Japanese U Go offensive, or Operation C mission launched in India in 1944 during the Second World War. From 18 April to 13 May, British and Indian reinforcements counter-attacked to drive the Japanese from the positions they had captured. The Japanese abandoned the ridge at this point but continued to block the Kohima-Imphal road. The battle is often referred to as the "Stalingrad of the East". Kohima was the theatre of the War in 1944 and the Nagas were drawn into it on both sides some with the British and some with the Japanese. Q. Which state observed the 75th Anniversary of the Battle of Kohima this year?